I went more than a little overboard in shopping for Christmas stamps this year…So many companies came out with cute stamps that I just had to color! I could have just made cards and shared a few on Instagram…but I really wanted to share them with you. But when I started popping things into my calendar plan…there aren’t enough days! So I’m going to share videos for twelve days in a row – in the Rush 2 Christmas! In today’s video I’ll have peeks at the upcoming videos, and links for supplies are in the supply list at the end of this post. That way if you see something you just have to have, you won’t have to wait until the video’s out to order, and then hope the mail carrier takes the express bus! You can pick up what you wanna try, and then you’re only waiting for the video. Once in a while I show you something easy to do – and this is one of those! Especially for folks who’ve been in my Copic scene classes — – because these are trees we’ve worked on! 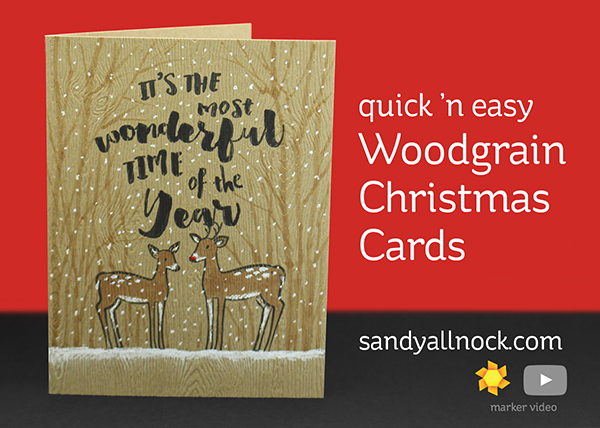 But as a one-layer card, this is simple to do and mass produce….hope you try it out, this woodgrain cardstock is awesome! Watch the video below or click HERE to see it in HD on YouTube. 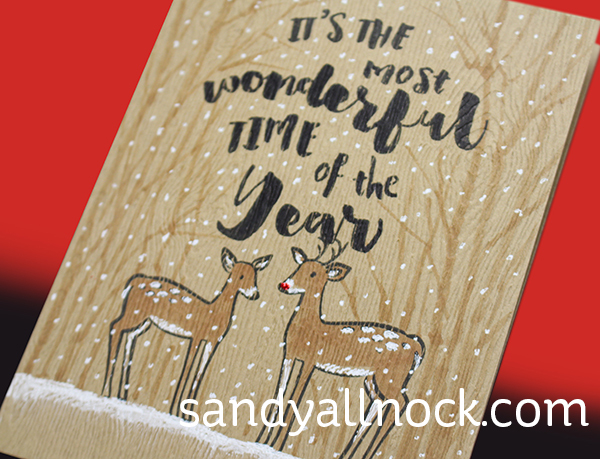 Another version: mounted on a card base with dimensional adhesive….and extra snow in the storm! I’m making donations to 12 charities for these 12 Days of Christmas, just to put the brakes on the “Rush” just a little. If you start losing your Christmas spirit, try doing that and see what happens! Today, in honor of my girl Vienna finally getting her cast off (she still has to “lay low” for 2 weeks but the X-rays looked good, her toe is healing! )…I’m giving to the ASPCA. Go give a little of your Christmas budget to help a puppy or a kitty who needs a furever home! The rest of the supplies from the sneak peeks are over HERE. Lots may be out of stock by now since they were shared for Black Friday sales, sorry! WOWZERS! I love that you can do a one layer card with so much punch! Gotta love white pens! 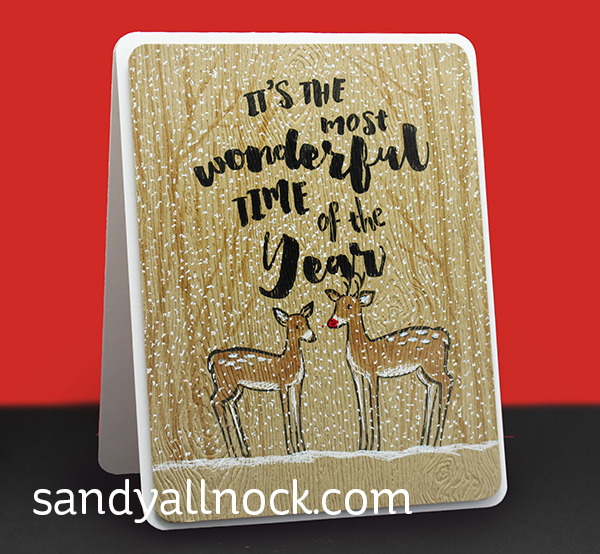 The woodgrain cardstock is lovely & I love the snowstorm effect on your card. Beautiful!! I love the tiny snowflakes and the cute little deer. 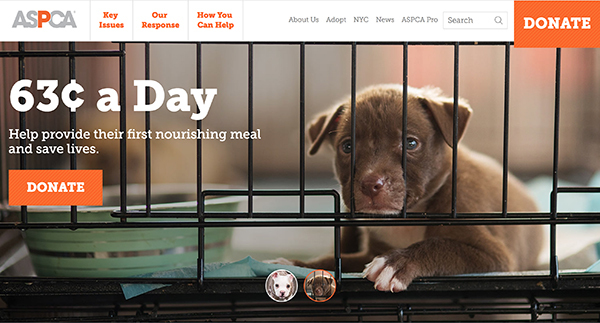 Giving to the ASPCA makes YOU the most wonderful Santa Clause this year! Great card, I love the woodgrain cardstock. Sandy what a awesome cards are comming, I can hardly wait. Beautiful cards ! Congratulations for your generosity, showing the exemple will surely gives the little push to people to make donations. I hope Vienna will heal quickly. It takes some time, in fact it feels like an eternity, but it’s worth keeping them quiet that long, it’s all benefits for after. My little H’Ichi had to stay quiet for 16 weeks plus 4 weeks of walks on leash, but they are no sequels of her accident. Courage !